In style to a party or dinner? 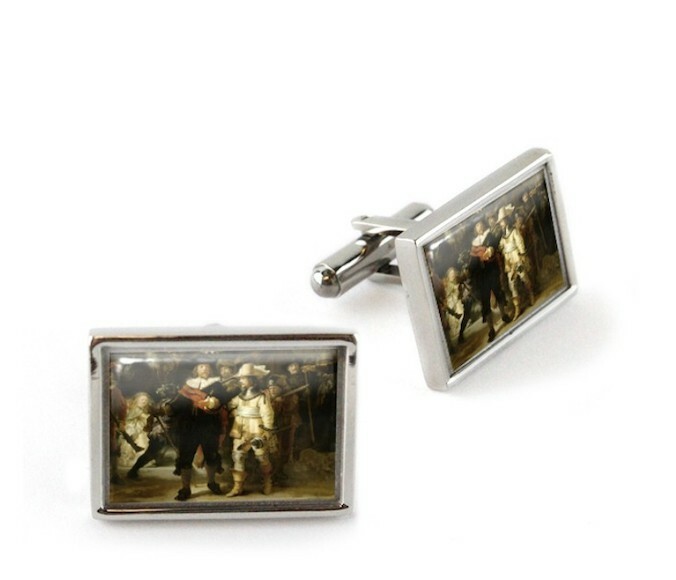 With these rectangle Rembrandt cufflinks with The Night Watch, you really stand out and fit the 2019 theme 'Rembrandt & The Golden Age' perfectly. These Night Watch cufflinks come in matching gift box. The iconic Night Watch adorns this hip cufflinks. 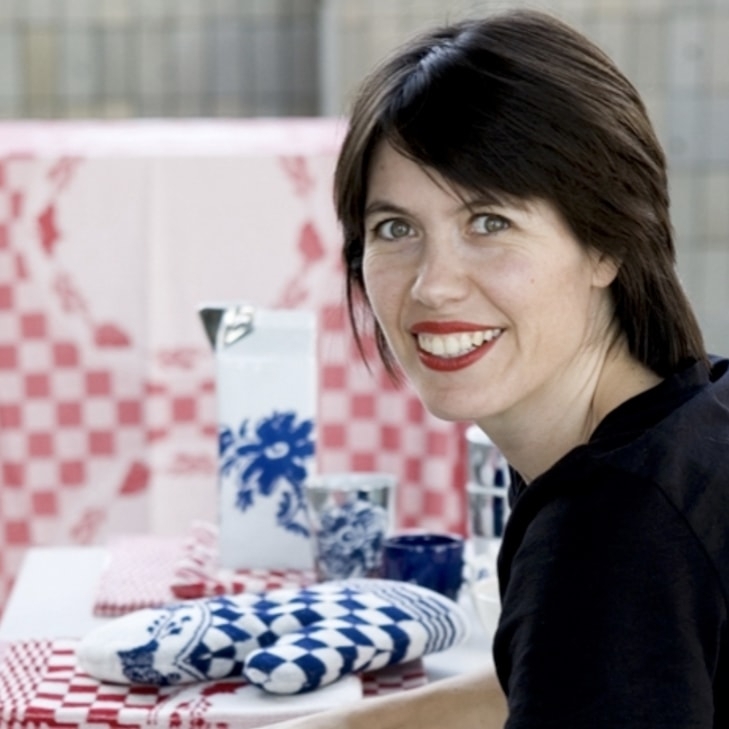 An eye-catching "Dutch design detail" in your business outfit. The setting of these cufflinks is made of nickel. 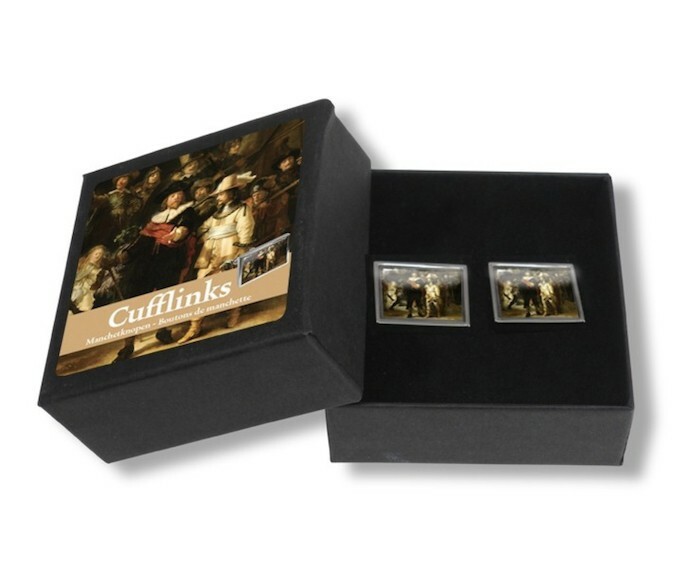 The tile in the setting of the Cufflinks is designed with the famous painting by Rembrandt: Night Watch. These rectangle cufflinks do not pass unnoticed with their and cheer up a formal outfit. 2019 is the year of Rembrandt & The Golden Age. Due to this theme year the Rijksmuseum will be entirely dedicated to the great master Rembrandt van Rijn. Rembrandt died 350 years ago. On the occasion of the 350th anniversary, Het Rijksmuseum presents an extensive program with something to do and to see for everyone. The program starts on February 15, 2019. From that date, the largest overview exhibition of Rembrandt starts. 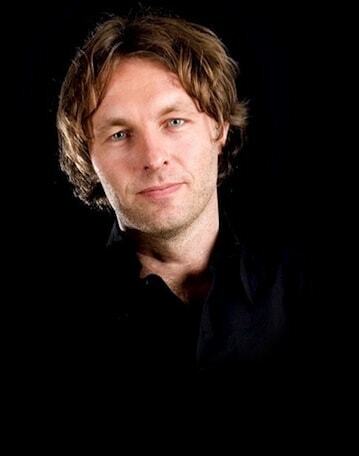 The Rijksmuseum has never had so much work of this Dutch master in the house at the same time. 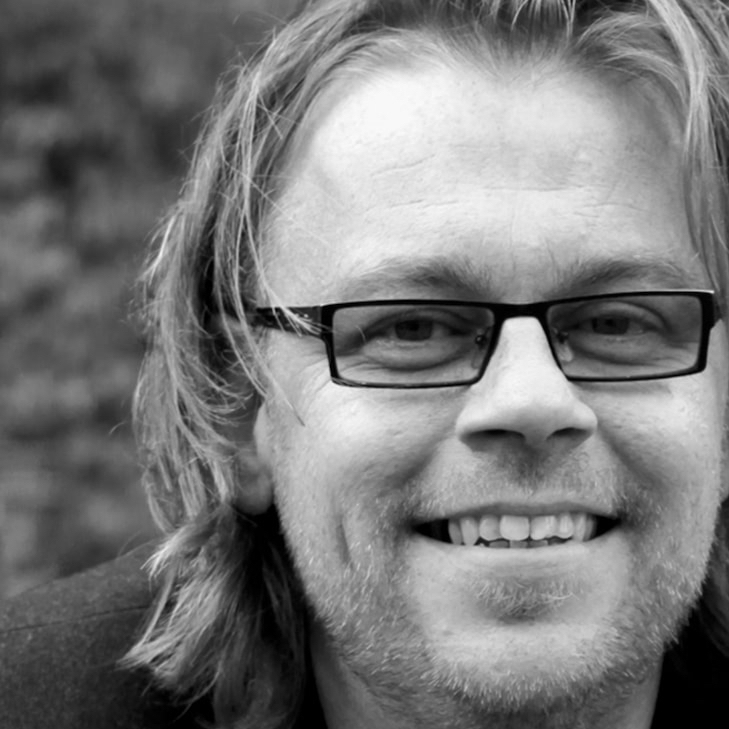 Of course, this exhibition is present for a longer period of time and the program is being expanded considerably. More about all the activities and attractions around the year of Rembrandt you can follow closely in our blogs.